Samoa Best Dance crew finalists, “Re:present” is set to fly to China on a fully funded four weeks trip for dance training, later this year. This was confirmed by the crew’s co-captain Chrioni Posini who said the training would focus of gymnastics and other aspects of developing their talents. 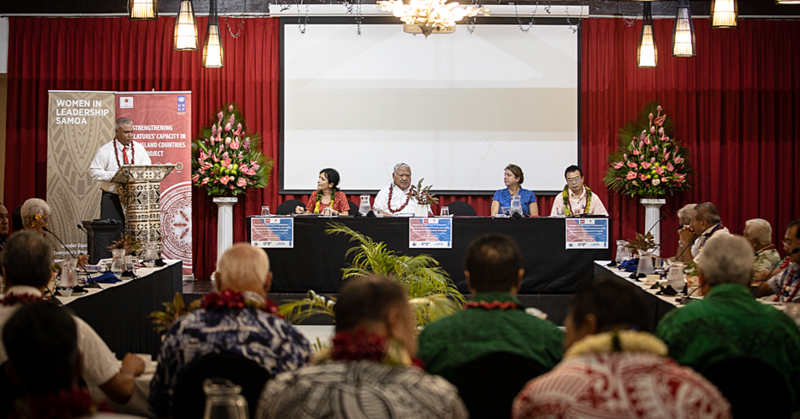 Speaking to the Samoa Observer, Ms. Posini said the idea of having an all-female crew was originally former Miss Samoa Priscilla Olano-Ah Young’s idea. “Hip-hop is quite a hushed topic of activity when it comes to females in our community, and we felt it was a good time to step up and show that girls are just as talented as boys in this area of performing arts,” she said. 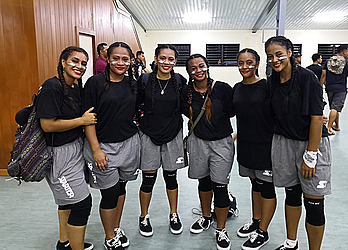 The all-female hip hop dance crew includes Crew Captain and Mentor Priscilla Olano Ah Young, Anastacia Ioane, Babette Tunupopo, Bessie Tuiletufuga, Chrioni Posini, Eseta Uili, Todah Eniata and Tepora Ioane. In an industry dominated by males, the crew formed to not only stand for female dancing talents in Samoa but also promote women empowerment among other things. “Being an all-female crew is amazing and being the only all-female crew in Samoa within the SBDC Competition was very thrilling, also challenging as it is a male dominated event. “However what really put us at ease was our aim in coming into the competition and it was nice to be set in a space together with the male crews and not be objectified or looked down upon,” she smiled. The group isn’t just about hip-hop routines and aiming to fight for the Samoa’s Best Dance Crew title. “We also stand for women empowerment, there’s so much female [hip hop] talent in Samoa and we look to be an example for those who shy away from opportunity. 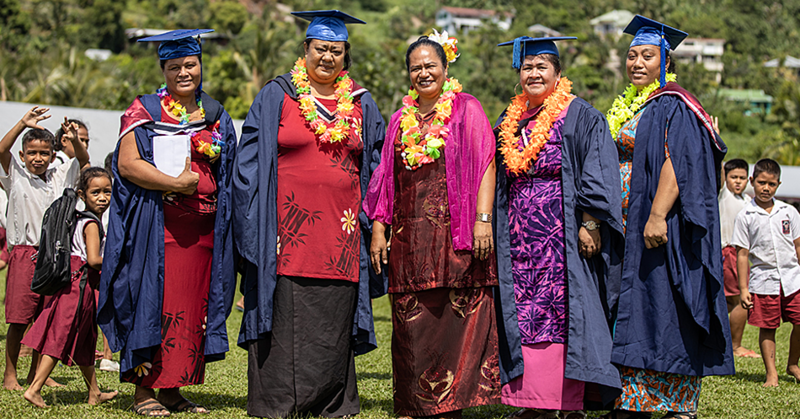 “Who may be afraid of judgement and negative feedback, a lot of us also were quite shy and closed off but being around the right people of influence and encouragement we’ve been able to grow and build self-confidence and unity so we want other girls to also realize their potential and believe in possibility,” she told Sunday Samoan. Also, being together as an all-female crew allowed them to build strong relationships and show kindness and encouragement but it was not always the case. “When we first started the crew we had many differences, it was with more effort and openness that we were able to understand one another and commit as a crew and also as a family. “Each of us have our own story, our own issues and challenges we face so coming together through the one thing we have most in common, dance. “And by putting all that energy together it really inspired us bringing us to this one common goal to be a positive representation of what girls are capable of rather than the restrictions that bind them,” said Ms. Posini. “There is so much we can all contribute as a community and nationwide towards not only our female dancers but local talents. The co-captain also mentioned the benefits of coming together which has helped them emotionally, mentally and spiritually by using dance as a strong form of expression. “There’s only so much a human being can take and life is ever changing, times are difficult, there’s a great number of inconvenient incidents and bad things happening to our generation. “If anything at this stage as youths we really need a good support system and positive space to breathe and be more open with ourselves and others,” she explained. Development wise the crew spent a lot of effort and long hours of training with fitness, skill work and technique while upholding the value of their upbringing. “We like to keep a good balance of feminine and masculine movement but nothing that discourages the name we carry as an all female crew, which may diminish our value and what we stand for. “As young pacific islanders we are mindful of our people’s expectations of us as tama’ita’i Samoa and we do strongly respect our culture and morals so we always try to keep our dance movements sensible yet still entertaining and powerful,” she said. The crew looks forward to seeing more all-female crews stepping up to show case female hip hop talent in our small island nation and breaking the traditional views on young women. “It would be great to have something more female based involving dance particularly hip-hop.